Recently, Mercy Multiplied Receptionist Ariel Kurtz and her husband, Dane, led a Life Skills Class for the Sacramento residents entitled “Relationships and Stress.” Life Skills Classes are intended to provide practical information for various areas of life that residents can apply after graduating from the Mercy Multiplied Residential Program. Ariel and Dane spoke candidly about love, depression, and relationships, sharing from their own personal experience and marriage. “Before dating and marriage,” Dane told the residents, “I was intentional about getting better for me and for her. 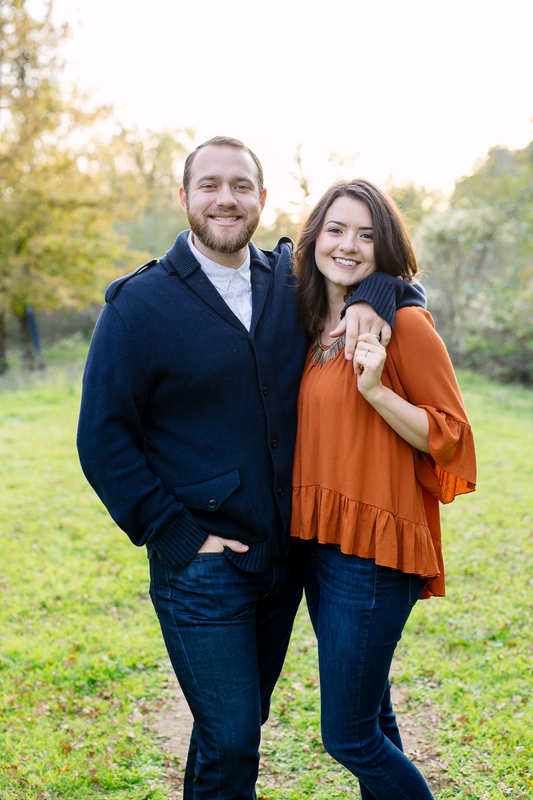 I did nine months of counseling and God really unraveled the patterns that were keeping me in depression.” Dane and Ariel outlined a tool they learned to assist couples in dealing with stressful emotions. They gave some examples of different ways to react, different types of stressors, and how to seek healing rather than repeat unhealthy cycles in relationships. Dane and I have been married 5 amazing years! And it just keeps getting better! How has marriage shaped your relationship with the Lord? When people ask me about how it has been being married, I truly mean it when I say that I feel like I know Jesus’s heart more than I ever have because of how my husband loves me and values marriage. There are so many times I do not feel like I deserve his forgiveness or kindness, but it is his response over and over again. It has just been so amazing to watch a man who voluntarily committed his life to loving and serving me, do just that. And choose that every single time. Being married to Dane has not only allowed me to see more of who Jesus is, but as we cultivate the lifestyle we want together, we are able to decide for ourselves what we want in our daily lives. We are able to decide what brings life, what brings peace, what we do not want entering our space, and how to be so intentional with every detail. I have more peace in my life than I have ever had in my life. I feel God’s presence more sweetly and consistently than I have ever felt. How have you seen sharing your love story – the good, the bad, the difficult – affect others? We have received such great feedback after we share. We love the opportunity to see the residents understand the practical side of taking ownership in a new or more concrete way. When we speak, they get to see how we interact and see how human we are. We make a point to talk about how much work we have invested into the relationship we have. We had premarital counseling for about two years before we got married. We are open with the residents about how much work it has taken to get here. We also make a point to describe our beginning point. This seems to have such an impact on them. They are reminded of how we all start with baggage, but when we ask for help and gain freedom, we have the tools to fight for a relationship or marriage that is so fulfilling! What was the best part about sharing in the Mercy home? We love getting to share about marriage. We love bringing a balance of hope and awareness of how to take responsibility in a way that moves us closer to healthy relationships. We love showing the residents that love is real, that being known and loved is real. What are your favorite parts about working at Mercy? I love so many things about Mercy. I love how balanced the vision is. I love the emphasis on both that Jesus died to save us and that there are ways we can claim the freedom He offers. I love that the Lord put it on Nancy’s [Alcorn] heart to offer it all free of charge, as it so echoes the heart of the Gospel. Click here to learn more about Mercy Multiplied’s program and structure.